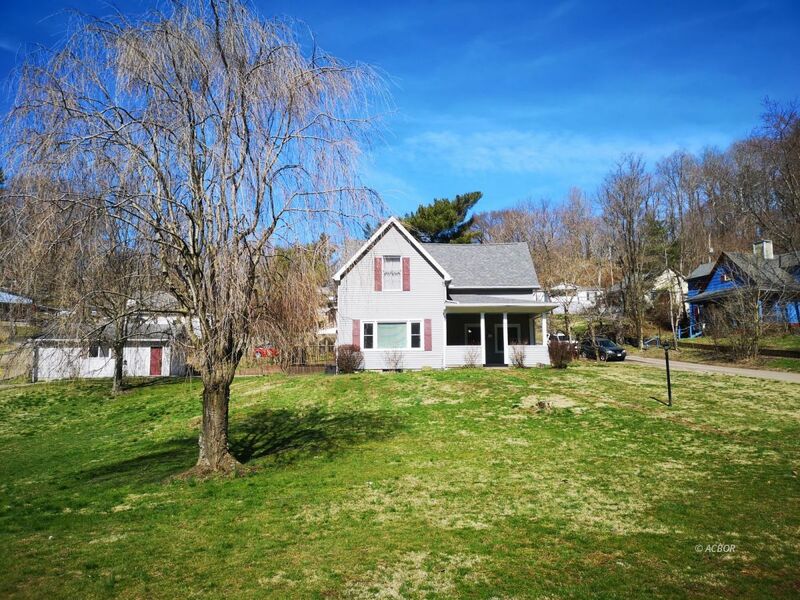 The whole package on an unbeatable large lot in Nelsonville! This is a rare opportunity to buy a home that has it all! This 3 bedroom, 1.5 bath home has had all the major updates, plus it occupies a large and gorgeous flat lot (over half an acre! ), with a big deck, and an insulated 2 car detached garage with 220 electric service and natural gas. The spacious and open first floor has two living areas, a huge and welcoming kitchen, and main floor laundry. Updates include: new kitchen vinyl and some new carpeting (2018), new roof with 40 year dimensional shingles (2017), new low-E double pane windows (2012), stainless dishwasher, stainless gas range, stainless fridge in 2016-17, new water heater in 2017, new PEX plumbing for all of first floor, and foundation totally redone by previous owner in 1993. Don't forget the large driveway with ample parking! Ally Rapp Lee (License# BRK.2015002306) with The Athens Real Estate Co., Ltd.